Delicious as a bread spread, in sauces, dressings, nut-milk, dips and baking. Cool-milled below 44°C purely from sustainable hand-cracked brazilnuts. A great natural source of selenium. In our all organic factory we are proud never to use refined oils, palm fat, emulsifiers or anything artificial in any product. We are very careful to avoid any risk of cross contamination. We also process sesame, mustard, soya and peanuts. Best to eat within three months of opening, replace the lid securely, and store cool out of direct light. Natural nutritious brazilnut oil may separate on the surface, just stir back in. Organic brazilnuts can naturally contain nut shell fragments etc. We check and remove during production but cannot guarantee to have found every piece. Each mature tree bears up to 300 fruit pods in a season. A brazil nut pod features thick outer shell as in coconuts and may weigh up to 2.5 kg in weight. It takes about 14 months for the fruit to mature after pollination. Upon maturity, the pod falls itself from the tree, usually with a thud. The pods may remain intact even after falling from such a height. Brazil nuts are high in calories, contain good quantities of vitamins, anti-oxidants, and minerals. 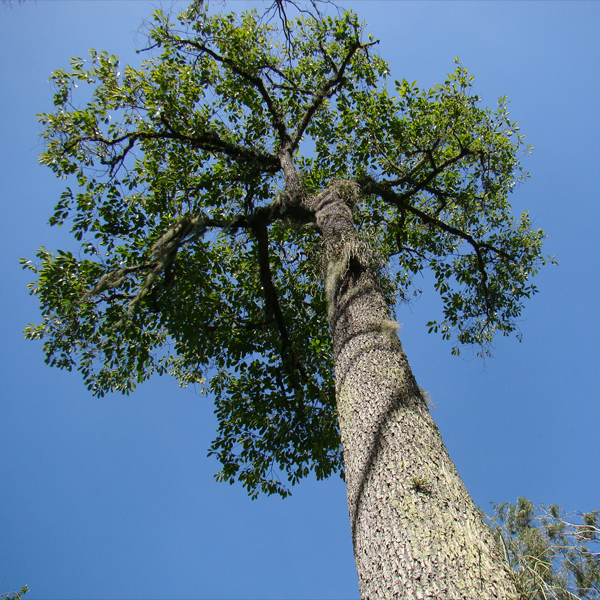 Its kernels, in fact, have been major energy sources of native Amazonians even today. 100 g of brazil nuts provide about 656 calories. Their high caloric content chiefly comes from their fats. However, much of this fat content is monounsaturated fatty acids that helps lower LDL or "bad cholesterol" and increase HDL or "good cholesterol" levels in the blood. 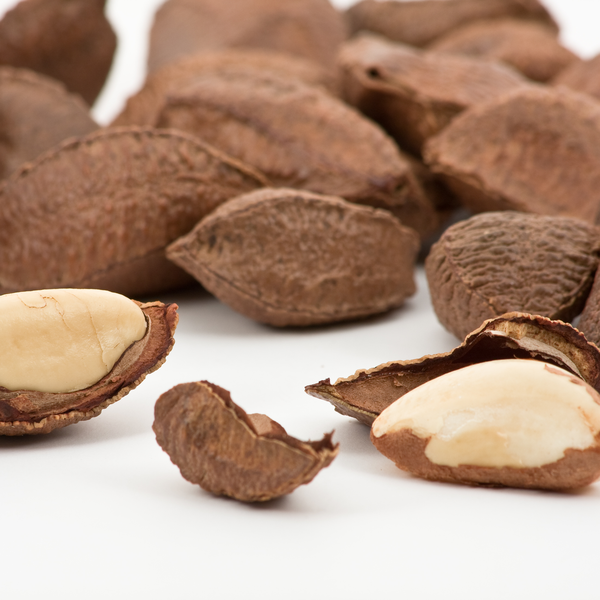 The nuts are also a great source of vitamin-E.
Brazil nuts hold exceptionally high levels of selenium. 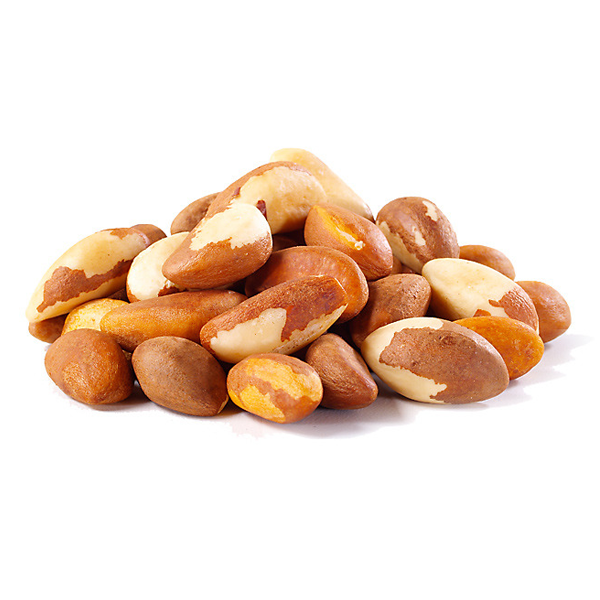 Brazil nuts too are free from gluten protein. For the same reason, they are one of the popular ingredients in the preparation of gluten-free food formulas. These creamy nuts are an excellent source of the B-complex group of vitamins such as thiamin (51% of RDA per 100 g), riboflavin, niacin, pantothenic acid, vitamin B-6 (pyridoxine), and folates. They hold superb levels of other minerals such as copper, magnesium, manganese, potassium, calcium, iron, phosphorus, and zinc. Delicious as a bread spread, in sauces, dressings, nut-milk, dips and baking. Cool-milled below 44°C purely from sustainable hand-cracked brazilnuts. Brazil nuts are high in calories, contain good quantities of vitamins, anti-oxidants, and minerals. Hold exceptionally high levels of selenium. Brazil nuts are free from gluten protein. Brazilnut - caution against any brazil nut allergy. Natural nutritious oil may separate on the surface, just stir back in. Organic brazilnuts can naturally contain crop fragments etc. We check and remove, but cannot guarantee to have found every piece.